April 9, 2015 – (, Norfolk, VA , US) – IT Specialist Click here for full details. April 9, 2015 – (, Herndon, VA , US) – Data Center Manager (Public Trust Clearance) Click here for full details. April 9, 2015 – (, Herndon, VA , US) – Presales Consultant Click here for full details. April 9, 2015 – (, Portland, Oregon 97202, United States) – Shipping and Receiving Handler Click here for full details. April 8, 2015 – () –  Software Engineer Click here for full details. April 8, 2015 – () –  Senior Analyst Click here for full details. April 8, 2015 – () –  Senior Software Engineer Click here for full details. April 8, 2015 – () –  Electrical Engineer Click here for full details. April 8, 2015 – () –  Junior Project Management Analyst Click here for full details. April 8, 2015 – () –  Cybersecurity Analyst Click here for full details. April 8, 2015 – () –  System/Network Administrator Click here for full details. April 8, 2015 – () –  Senior System/Network Administrator Click here for full details. April 8, 2015 – () –  Cybersecurity Engineer Click here for full details. April 8, 2015 – (The University of Texas at El Paso, El Paso, TX 79968, USA) – Post Doctoral (Speech Language Pathology) – 10024288 Click here for full details. April 8, 2015 – (The University of Texas at El Paso, El Paso, TX 79968, United States) – Enterprise Technology Customer Support Representative – 10019247Click here for full details. April 8, 2015 – (The University of Texas at El Paso, El Paso, TX 79968, USA) – Advancement Processor – 10019197 Click here for full details. April 8, 2015 – (2000 Clearwater Dr, Oak Brook, IL 60585, United States) – Cost Analyst Click here for full details. April 8, 2015 – (Kansas City, Kansas City, Missouri 64101, United States of America) – Project Manager Click here for full details. April 8, 2015 – (Kansas City, Kansas City, Missouri 64101, United States of America) – Administrative Assistant Click here for full details. April 8, 2015 – (Kansas City, Kansas City, Missouri 64101, United States of America) – Network Operations Lead Click here for full details. April 8, 2015 – (Kansas City, Kansas City, Missouri 64101, United States of America) – Virtual Server Administrator Click here for full details. April 8, 2015 – (Kansas City, Kansas City, Missouri 64101, United States of America) – IT Specialist Click here for full details. April 8, 2015 – (Kansas City, Kansas City, Missouri 64101, United States of America) – Asset Management Specialist Click here for full details. April 8, 2015 – (Kansas City, Kansas City, Missouri 64101, United States of America) – Active Directory/Exchange Specialist Click here for full details. April 8, 2015 – (Kansas City, Kansas City, Missouri 64101, United States of America) – Cyber Security Specialist Click here for full details. April 8, 2015 – (Marine Corps Air Station Yuma, Yuma, Arizona 85365, United States of America) – Network Operations Specialist Click here for full details. April 8, 2015 – (Kaneohe Bay Marine Corps Base, Honolulu, Hawaii 96863, United States of America) – Enterprise Service Desk Specialist Click here for full details. April 8, 2015 – (Kaneohe Bay Marine Corps Base, Honolulu, Hawaii 96863, United States of America) – IT Specialist Click here for full details. April 8, 2015 – (, Ft. Collins, CO , US) – Software Development Engineer Click here for full details. April 8, 2015 – (, Lexington, KY , US) – Field Technical Support Representative Click here for full details. April 8, 2015 – (, Houston, TX , US) – Technology Consultant Click here for full details. April 8, 2015 – (, Alpharetta, GA , US) – Customer Project Manager Click here for full details. April 8, 2015 – (, Chicago, IL , US) – Field Technical Support Representative Click here for full details. April 8, 2015 – (, Herndon, DC , US) – Associate Director, Cyber Security Strategy Click here for full details. April 8, 2015 – (, Anchorage, AK 99503, US) – General Counsel (2308-205) Click here for full details. April 7, 2015 – (, Urbana, Maryland 21704, USA) – Maintenance Technician Click here for full details. April 7, 2015 – (, Phoenix, Arizona 85012, USA) – Critical Facility Engineer Click here for full details. April 7, 2015 – (The University of Texas at El Paso, El Paso, TX 79968, USA) – Administrative Clerk – 10020081 Click here for full details. April 7, 2015 – (The University of Texas at El Paso, El Paso, TX 79968, USA) – Administrative Assistant I (English) – 10021697 Click here for full details. April 7, 2015 – (The University of Texas at El Paso, El Paso, TX 79968, USA) – Administrative Assistant I (Philosophy) – 10019085 Click here for full details. April 7, 2015 – (The University of Texas at El Paso, El Paso, TX 79968, USA) – Program Coordinator/Manager – 10020096 Click here for full details. April 7, 2015 – (Pacific NW, Bingen, WA , ) – Logistics Specialist – Maintainer for UAV Program Click here for full details. April 7, 2015 – (Pacific NW, Bingen, WA , ) – Logistics Specialist – Life Cycle Cost for UAV Program Click here for full details. April 7, 2015 – (Pacific NW, Bingin, WA , ) – Reliability & Maintainability Analyst for UAV Program Click here for full details. April 7, 2015 – (USA, New York, New York 10005, United States) – Technical Trainer / Instructor – Java Development Click here for full details. April 7, 2015 – (Texarkana, Texarkana, TX 75507, US) – Warehouse Specialist – Red River, TX (3015) Click here for full details. April 7, 2015 – (Texarkana, Texarkana, TX 75507, US) – Equipment Specialist (Electronical) – Red River, TX (3014) Click here for full details. April 7, 2015 – (Texarkana, Texarkana, TX 75507, US) – Warehouse Specialist Lead (Warehouse) – Red River, TX (3008) Click here for full details. April 7, 2015 – (Texarkana, Texarkana, TX 75507, US) – Warehouse Specialist Supervisor (Warehouse) – Red River, TX (3007) Click here for full details. April 7, 2015 – (Texarkana, Texarkana, TX 75507, US) – Project Supervisor (Warehouse) – Red River, TX (3006) Click here for full details. April 7, 2015 – (Marine Corps Air Station Iwakuni, Iwakuni, Japan 741-0062, Japan) – IT Specialist Click here for full details. April 7, 2015 – (US, New York, New York 10005, United States) – Technical Trainer / Instructor – Java Development Click here for full details. April 7, 2015 – (Stratford, Stratford, CT , ) – Instrumentation Technician Needed / Aviation Click here for full details. April 7, 2015 – (State Dept Site, Arlington, VA 22209, United States) – Financial Analyst Click here for full details. April 7, 2015 – (Stratford, Stratford, CT , ) – Reliability & Maintainability Engineer Needed / Urgent Click here for full details. April 7, 2015 – (Baltimore Metro Area, Woodlawn, Maryland 21207, USA) – Chief Operating Officer for FR Conversions, Inc. Click here for full details. April 7, 2015 – (, Amarillo, TX , United States) – Implementation Technician Click here for full details. April 8, 2015 – (Camp Lejeune, NC, Jacksonville, NC 28540, US) – Information Assurance Instructor Click here for full details. April 7, 2015 – (, San Diego, CA , US) – Automation Tools Engineer Click here for full details. April 7, 2015 – (, Ft. Collins, CO , US) – Cloud Linux Security Expert Engineer Click here for full details. April 7, 2015 – (, Stafford, VA , US) – Business Analyst Click here for full details. April 7, 2015 – (, Stafford, VA , US) – Process Improvement Specialist Click here for full details. April 7, 2015 – (, Quantico, VA , US) – Programmer Click here for full details. April 7, 2015 – () – Active Directory / Exchange Specialist Click here for full details. April 7, 2015 – () – Trucking Positions Click here for full details. April 6, 2015 – (, Cottage Grove, Wisconsin 53527, USA) – Group X Sales Specialist Click here for full details. April 6, 2015 – (, Seattle, Washington 98101, USA) – Audio Visual Technican Click here for full details. April 6, 2015 – (, Seattle, Washington 98101, USA) – Data Entry Specialist Click here for full details. April 6, 2015 – (Los Angeles, CA, Los Angeles, California , ) – Project Administrator – CAD Experience Required Click here for full details. April 6, 2015 – (, New Orleans, LA , USA) – Software Application Developer Click here for full details. April 6, 2015 – (Corpus Christi, Corpus Christi, TX , ) – TELSS ANALYST / Urgent Click here for full details. April 6, 2015 – (The University of Texas at El Paso, El Paso, TX 79968, USA) – Laborer II – 10019871 Click here for full details. April 6, 2015 – (The University of Texas at El Paso, El Paso, TX 79968, USA) – Associate Professor of Practice in Portuguese & Brazilian Studies Click here for full details. April 6, 2015 – (New York City (Five Boroughs), New York, New York , ) – Maintenance, Superintendent Click here for full details. April 6, 2015 – (DC, VA, MD, PA, DE, Bladensburg, MD 20710, USA) – Warehouse Worker Click here for full details. April 6, 2015 – (DC, MD, VA, PA, DE, Bladensburg, MD 20710, USA) – DRIVER/WAREHOUSE WORKER Click here for full details. April 6, 2015 – (, Dahlgren, VA 22448, ) – Receptionist/Access control P/T (2307-205) Click here for full details. April 4, 2015 – (, Plano, TX , US) – Managed Security Services Event Analyst-Shift Click here for full details. April 4, 2015 – (, Plano, TX , US) – Security Operations Center Analyst Click here for full details. April 4, 2015 – (, Plano, TX , US) – Security Operations Center Senior Analyst Click here for full details. April 3, 2015 – (, Yaphank, New York 11980, United States) – Maintenance Mechanic 2015-2012 Click here for full details. April 3, 2015 – (, Tacoma, Washington 98424, United States) – Door Sawyer Fulfillment Specialist 2015-2011 Click here for full details. April 3, 2015 – (, Aurora, Colorado 80010, United States) – General Manager – Denver/Rocky Mountain Region 2015-2010 Click here for full details. April 3, 2015 – (, Yaphank, New York 11980, United States) – Office Coordinator 2015-2009 Click here for full details. April 3, 2015 – (, Yaphank, New York 11980, United States) – Jockey Truck Driver 2015-2007 Click here for full details. April 3, 2015 – (, Chicago, Illinois 60601, United States) – Heavy Equipment Mechanic A 2015-2006 (Chicago, IL) Click here for full details. April 3, 2015 – (, Kent, Washington 98032, United States) – Warehouse Loader 2015-2005 Click here for full details. April 3, 2015 – (, Westlake, Louisiana 70669, United States) – Yard Helper (Westlake, LA) 2015-2004 Click here for full details. April 3, 2015 – (, Sulphur, Louisiana 70663, United States) – Yard Helper (Sulphur, LA) – 2015-2003 Click here for full details. April 3, 2015 – (, Tacoma, Washingont 98424, United States) – Delivery Driver CDL A 2014-1570 Click here for full details. April 3, 2015 – (, Arlington, Texas 84104, United States) – Warehouse Worker (Arlington, TX) 2014-1463 Click here for full details. April 3, 2015 – (, Arlington, Texas 84104, United States) – Production Worker (Arlington, TX) 2014-1451 Click here for full details. April 3, 2015 – (, Quantico, VA 22134, US) – Photographer/Videographer – Quantico, VA (3019) Click here for full details.  April 3, 2015 – (, Quantico, VA 22134, US) – Multimedia Specialist – Quantico, VA (3020) Click here for full details. April 3, 2015 – (, Quantico, VA 22134, US) – Exhibit and Special Events Coordinator – Quantico, VA (3021) Click here for full details. April 3, 2015 – (, Quantico, VA 22134, US) – Communication Specialist – Quantico, VA (2022) Click here for full details. April 3, 2015 – () – Armed Security Guard (109) Click here for full details. April 3, 2015 – () – Locksmith (342-845) Click here for full details.